The “African insurance market” is barely worthy of the name, such are the low levels of penetration of all types of insurance across the continent. Yet insurtech startups innovating in areas such as the distribution and management of insurance are creating a win-win scenario for everyone involved. The insurtech market in Africa is a new one. When Disrupt Africa released its Finnovating for Africa report on the continent’s fintech space in 2017, it tracked only 18 insurtech startups, accounting for just six per cent of Africa’s fintech startups. That figure now stands at over 50. Back then, investment in insurtech startups was also low, with such businesses raising only 8.8 per cent of total funds raised in the fintech space. Impressive rounds for the likes of Click2Sure, Naked, Simply and Bismart last year mean this level is now far higher. The appeal is that these startups are innovating in a market that has remained largely undisrupted, if indeed there is anything to disrupt at all. Continental insurance leader South Africa has an insurance penetration rate of only 13 percent, while elsewhere the figures are much lower. In Kenya it is three per cent, in Nigeria 0.3. 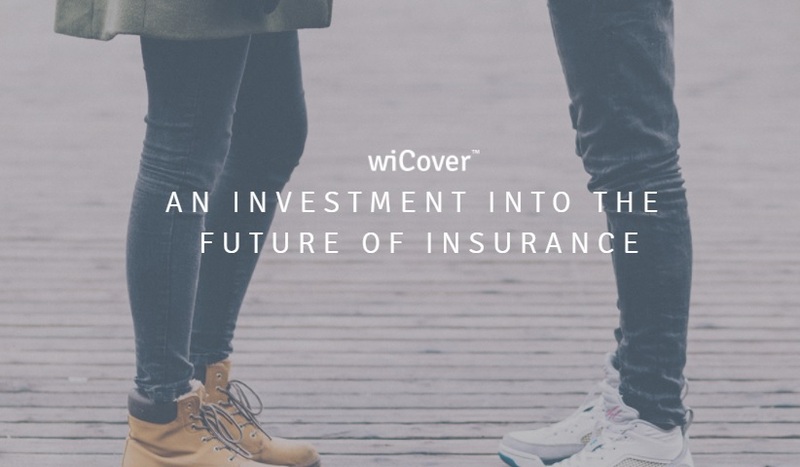 Nick Evans is chief executive officer (CEO) of South African insurtech startup wiCover, which builds highly configurable distribution platforms for insurance companies. He said the sector suffers from lack of access, lack of education, and lack of innovation, all things startups are trying to provide. “Insurance products that protect income, lives, families, businesses or assets requires an increase in education and an increase in access to banking services. Low cost or micro-insurance products require innovation on the types of products that are available, how they are consumed and how they accessed,” Evans said. Distribution, he said, is a key issue that needs to be solved for companies to be able to sell micro-insurance products at scale. “The current distribution models increase the cost of accessing markets and drives the cost of product. Accurate data is also a hindrance to progress. There is also a trust issue at the insurance moment of truth. Claims are not paid always quickly, fairly or correctly. It’s a huge pain point that can also lead to an increase in fraud,” said Evans. Many problems that need tackling, then, but as ever, the way insurance businesses operate means, like most corporates, they struggle to innovate. Adelaide Odhiambo, CEO of Kenyan insurance product distribution platform Blue Wave, believes insurance companies require an “extensive change management exercise” as corporate culture and infrastructure does not support innovation. “As for the customers, the products available do not necessarily address their immediate needs, as most insurance products available are off the shelf and not easily customisable. We are working to resolve this,” she said. As are many startups, and with good reason. The huge lack of access is a huge opportunity, as is the entry of millennials with different expectations into the market. At last, insurance companies are ready to listen. A PwC report in 2017 found more than 50 per cent of insurers are putting disruption at the centre of their strategies, and seeking partnerships with insurtech startups. This makes sense for everyone involved. Startups can access a potential customer base of the size they could never have dreamed of, insurance firms access innovative new ways of distribution, and customers can more easily access better products. “Startups with no legacy systems have the opportunity to design and deliver a truly digital customer experience, resulting in convenient – and quick – customer engagements, while lowering costs significantly through automation,” said Ernest North, co-founder at South African artificial intelligence (AI)-driven car insurance provider Naked Insurance. Sam Wanekeya is CEO of Kenya’s Kakbima, an online Software-as-a-service (SaaS) insurance manager. He said African insurtech startups are better placed than larger, often international firms to deliver insurance products geared towards the need of the customer. “The African insurance market it very different from the Americas or the European market. You cannot pick a product in Europe and bring it to a country like Kenya and expect it to work,” he said. The signs are that they are changing, however, and that is good news for everyone. Anthony Miller co-founded South African startup Simply, which designs and sells simple life insurance products. He believes insurtech will leapfrog traditional insurance in same the way mobile has leapfrogged fixed-line and mobile payments have leapfrogged traditional banking. “Done well, insurance is a valuable enabler of effective societies. Africa is a huge continent with a fast growing population and strong economic growth. There’s no question insurance is a big part of its future and technology is what will get it there,” he said.